The Dighton Power Partners project is a 165 MW combined cycle power plant based upon an ABB 11N2 single shaft gas turbine and an ABB steam turbine coupled to a common generator. The plant is equipped with a Nooter/Eriksen heat recovery steam generator and utilizes an air cooled condenser for steam condensing. 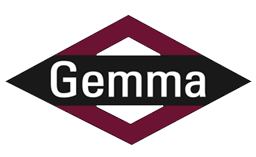 Gemma served as the project EPC contractor, responsible for all aspects of site construction. The Dighton Power Project was completed in 1998. © 2019 Gemma Power Systems.